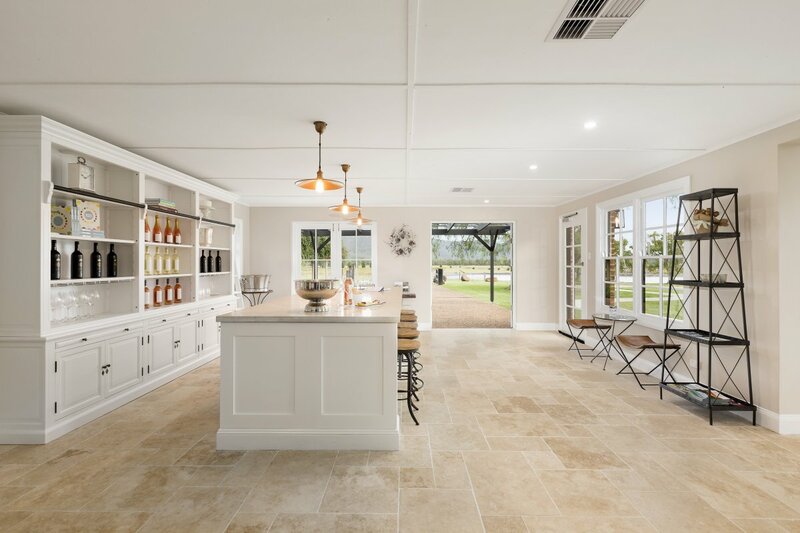 Located on Tinonee Vineyard Estate in the tranquil Broke Fordwich region of the Hunter Valley, our on-site boutique cellar door offers a select variety of estate grown, single vineyard, limited release 1813 wines. Relax and enjoy our unique wines in our air-conditioned cellar door during the warmer months and fireside on the adjoining terrace during the cooler months, whilst admiring the picturesque scenery and spectacular sandstone formation known as Yellow Rock. Our cellar door is available to hire for intimate functions. For more information, please visit the website for our wine label, 1813.